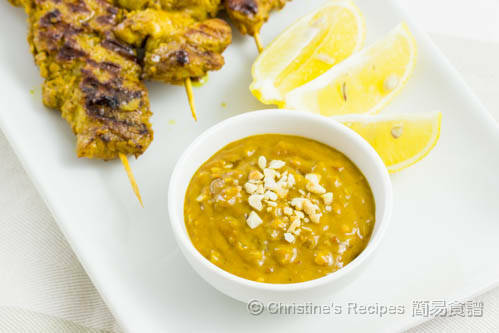 Satay sauce, is very popular in Southeast Asia, that contains my favourite crunchy peanuts. It perfectly goes with grilled chicken. Lucky me, I’ve eaten traditional satay in some Malaysian restaurants many times here in Australia, that are run by Malaysian migrants. Every family has its own version though. Basically, the sauce tastes slightly sweet with a hint of acidity from the tamarind. So that’s why the sauce gives a good balanced and refreshing taste with grill meat. Left: Kecap Manis. Right: tamarind puree. Heat oil in a heavy-based pot over medium-high heat. Saute onion and garlic. 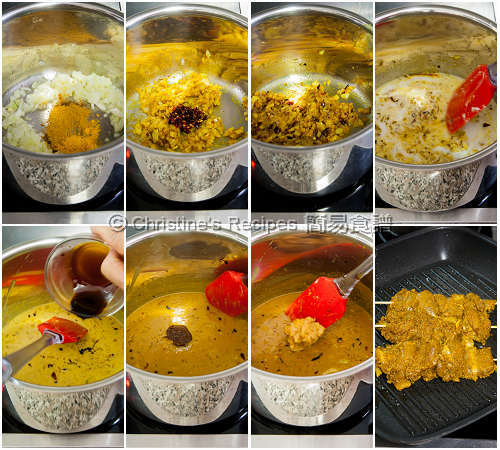 Add curry powder, cumin powder and turmeric powder. Stir to combine. Add red chillies and cook until aromatic. Pour in coconut milk. Reduce heat to low. Stir in palm sugar, Kecap Manis and tamarind pure. Season with salt. Turn off the heat. Stir in the peanut butter. Combine with roasted peanuts when served. The satay sauce can be made well in advance and chill in fridge for up to 1 week. 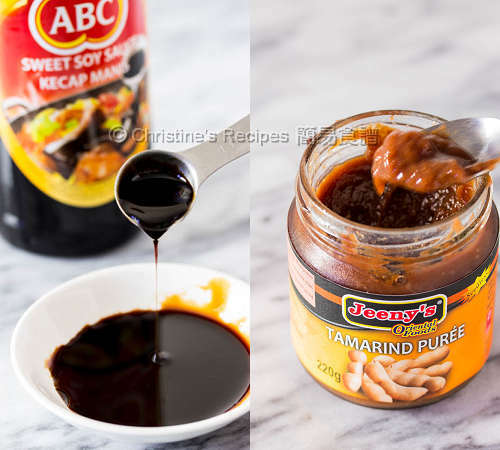 I used the ABC brand Indonesia sweet soy sauce (aka Kecap Manis), which is a staple condiment in Asian home cooking, rich in palm sugar fragrance, available at Asian grocers. Dried red chillies has mild hot flavour if remove the seeds inside. Also available at Asian grocers. Or your may use fresh chillies instead. When it comes to making this sauce, the roasted peanuts are optional. The peanut butter helps to thicken the texture and enrich the fragrance. You can omit it though if you have any family members who are allergic to peanuts. 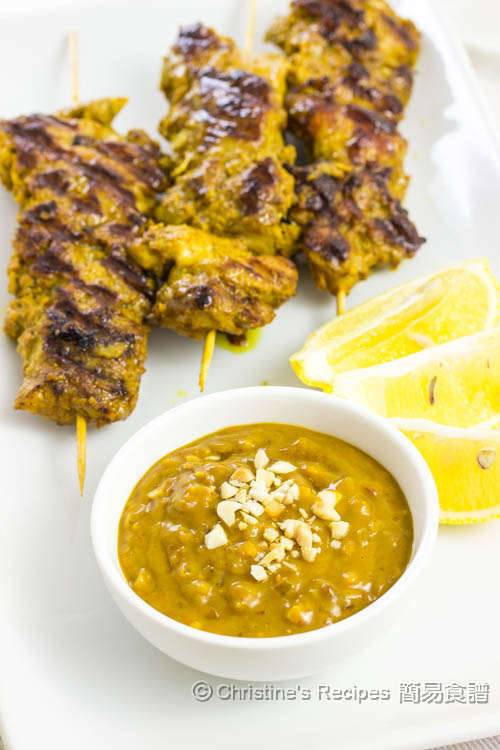 Here’s the Malaysian satay chicken recipe to go with this sauce if you like. A fantastic recipe, Christine. I have to try this sauce ASAP.